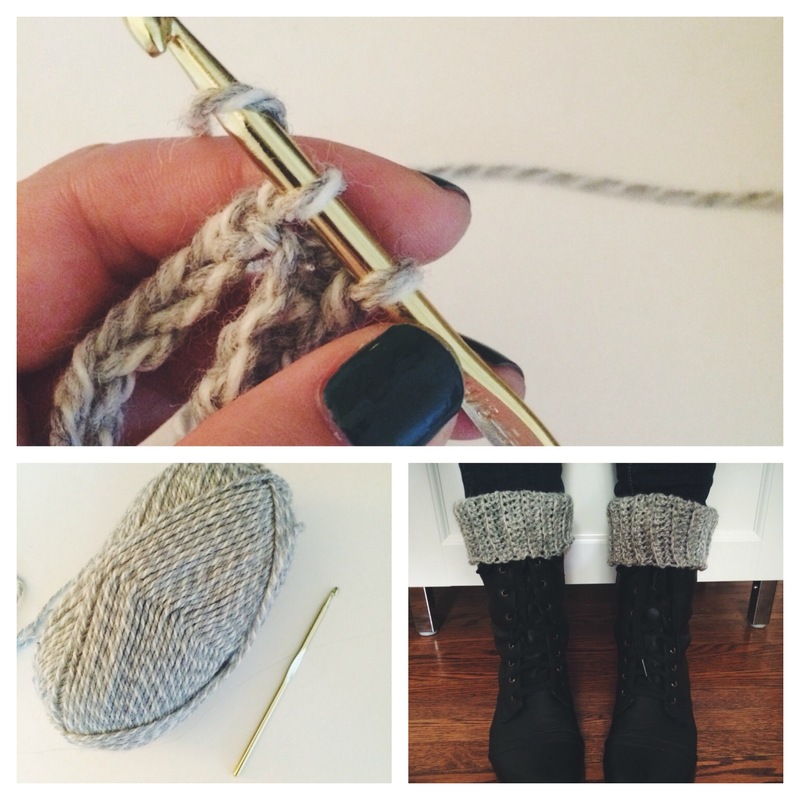 Crochet: Leg Warmers – Yarn, Things, Etc. If there’s anything I learned from last year’s polar vortex, one layer of socks is never enough. Although it feels ridiculous and bulky, frozen feet feel much worse. Now that my mommy rant is over, I found a cute way to keep my ankles warm and re-style my fall boots. I debated whether or not to call these leg warmers, because now all I can think of is ’80s aerobics. Truth be told, as a tall girl, most of my pants don’t reach my ankles. Now this works out fine in the warmer months, I just cuff those suckers and move on with my day, but the winter is brutal. Bad title or not, I think these leg warmers will do the trick. Back loop single crochet has become some what of a go-to for me. 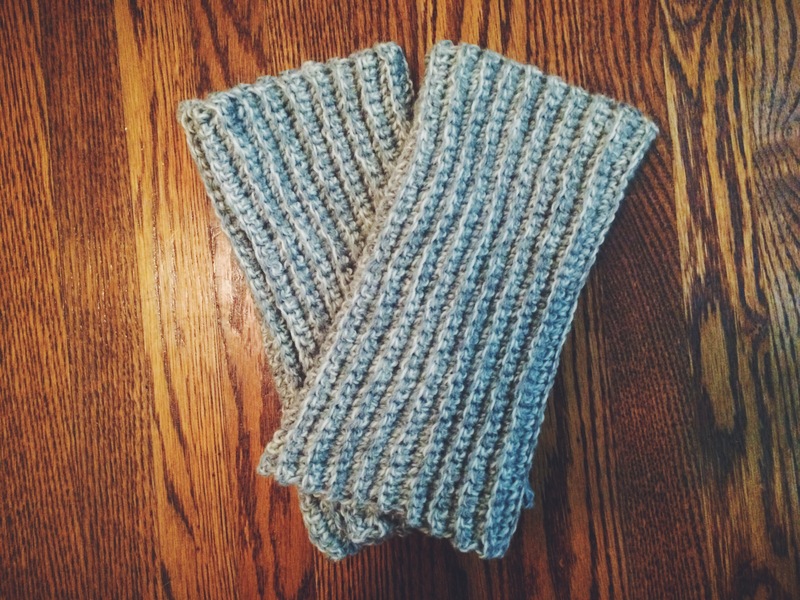 I think the ribbed fabric is perfect for fall and makes any project look a bit more modern. Below is an incredibly easy pattern for this project. As I was making them they didn’t seem big enough, but they stretch a lot. I would actually work 35 rows in the future. I’ve always thought it was interesting how older styles always come back around, but usually with a modern twist. I share the tall girl sentiment, I have a 36″ inseam, but have found a website that sells jeans in that length (and longer!) so I don’t deal with that problem anymore, however, I have poor circulation, so my ankles still get cold! These look really cute with your boots, and they look so nice and cozy. I will definitely be using this pattern, thank you for sharing it! Thanks so much, Ashie! I’m glad you like them 🙂 Even if this style isn’t 100% back, they do make cute boot cuffs.